Barter Books : Gray, Edwyn : The Devil's Device. 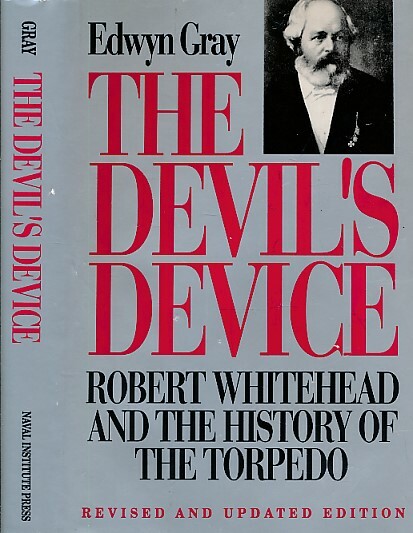 Robert Whitehead and the History of the Torpedo. 240 x 160 mm (9 x 6 inches) - xvi, 310pp. Paper covered hardback boards with grey cloth spine. G: in good condition with rubbed, chipped, and stained dust jacket. Spine stained.